As we enter 2019, here’s a gentle reminder for everyone out there- we’re heading towards the final lap of the decade. Feeling old yet? We know it is hard to believe but throughout this decade (almost) many things evolved. Some were planned, some were not. But most importantly internet became large and witnessed commendable growth. The world got familiar with smartphones and its evolution, acronyms like AR, VR, AI, AMP and many more were introduced. All this and much more happened just for the ease of audience. As exciting as it sounds, one thing has got most techies and web designers talk about is the emerging trends related to front-end design. Abundance of creativity and the maniacal drive to invent ways to improvise UX that the industry has seen in the recent times, makes it important for web designers and business owners to keep a tab on the latest trends. Along with technological advancements that have helped websites to become smarter and empowered with machine learning; abstract images, illustrations, colour schemes, asymmetrical layouts are also holding an essential position in providing the best UX & UI. 2019 will be a year of web designs that will hold the perfect combination of aesthetics and technology driven concepts setting new rules and bases for the future to rise above the present. While talking about the far future of web designs is still debatable, let’s look into some of the latest web designs trends that are certainly ruling 2019 and are going to be the rulers for the near future. Before coming down to the top 10 web design trends of 2019, have a look at some stats that can help any business owner evaluate their website and the areas to work on. 1) 48% of the visitors consider the website’s design to be the most telling factor about the credibility of a business. 2) 94% of visitors bounce from a website and stop trusting it because of a degraded web design. 3) 39% of users stop engaging with a website if it has image loading issue. 4) 60% of the time people can’t find information they need due to poor search capabilities. 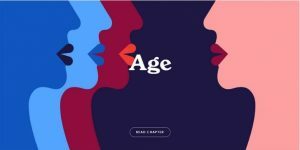 Without any further ado, let’s dive into the top 10 web design trends of 2019. 1. Micro-interaction – A simple minute action on a website or app and the specific response to that action is referred to as micro interaction. The sound of a beep when you refresh your twitter app or a red icon displaying the number of message on Facebook is micro-interaction. They are basically the events on purpose that keep the user busy and involved on the webpage. 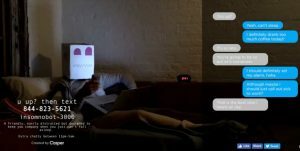 Now these micro-interactions are being used heavily with more interactive incarnations. Chimes, hover, scroll animation and preloader are some of the new ways to keep the audience involved and subtly communicate the desired information. 2. Chatbots – Chatbots have been evolving since 2017 but in 2019, they are going to have the entire spotlight. This is mostly due to the advancement in AI and machine learning which is making chatbots smarter and efficient. Customization in the conversation with the bots in order to make them more personalised and predict an influx of friendly mascot for the brand. 3. Video Content – Everyone’s aware how video content on websites are impacting the websites, unless you’re living under a rock. But as 2019 is emerging, audience now would opt for video content than large paragraphs. 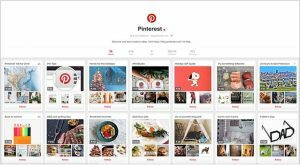 Video content not only amplifies the appearance of the page but it also carter an on-to-go audience who don’t have the time to scan through a lot of text. 4. Minimalism – This timeless web design trend is often the go-to aesthetic of choice for any web designer. Fewer the elements and content, lesser the audience will have to think and comprehend about the website. Minimum elements will surely dominate 2019 in the digital landscape. Animations and fade-in effects that make scrolling more engaging will give web pages freedom to space out their content and thus result in more whitespace, contrast and clear typography without too many distracting elements. 5. Mobile First Design – Mobile first design has officially surpassed desktop browsing. In 2019, no web designer has it as a choice but as a fundamental requirement. 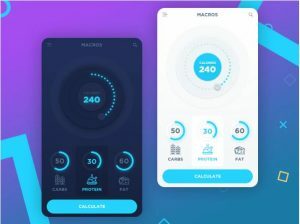 More matured designs like, minimum menu, hamburger menu, medium size fonts and many such elements are already being used to make for a larger number of population using smartphones than desktops. Moreover, the UX issues have become easier to identify and fix them with micro-interactions. This way you get immediate feedback on your user’s actions. 6. Thumb Friendly Navigation – Every mobile first design has to follow thumb rule navigation. The famous book, “Designing for Touch” by John Clark investigates how users hold their phone and how their movements especially those of thumbs are processed during the web design process. Now users will encounter thumb rule dominating navigation. For eg:- hamburger menu or user profile are now moved to the bottom of the mobile screens. 7. 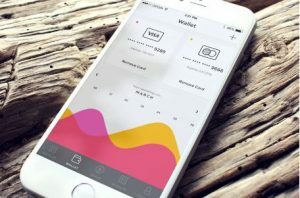 Card Layout – Card layout designs are the most preferred mobile first design because of the artistry, they show the important information in a single screen without scrolling down. This particular design layout helps in communicating the information/stories better and faster and leaves no space for unnecessary content. They also work perfectly on any smartphone screen size. 8. Illustrations – Picking up the best images for a design will always remain the most challenging yet interesting arena of designing a website. But now Illustrations have come into the picture and becoming a favourite for the designers. Using illustrations will definitely up the game of product designing. Rough sketches with graphite along with abstract shapes are being used to bring innovation to life. Unlike in the 60’s when illustrations were used in advertisements, illustrations in web designing will be inspired by real people and their ideas and further they will also be used in videos with vivid concepts that engage the audience. 9. 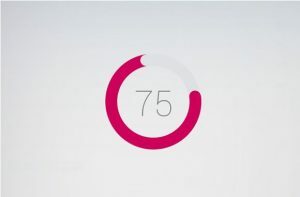 Speed and Accuracy – All beautiful designs go in vain when a website does not respond with speed and accuracy. The loading time of a website makes the first and last impression on the audience. 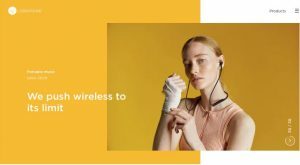 Needless to say, millennials who are always on the go want everything at the best speed and accuracy. In 2019, tools and technology that measures the load time of the web page will be used aggressively as there can be no compromise on speed. 10. 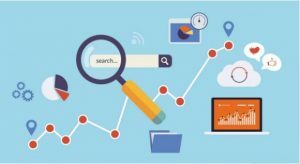 Optimise for Search – The way a website is designed/developed significantly contributes to optimizing a website for search. Deciding not to use flash, writing a search-engine friendly code, optimizing images to name a few, these are some of the essentials that are part of a long list of web design/development guidelines for building a search engine-friendly website. Make sure to engage with an SEO specialist while building a website. 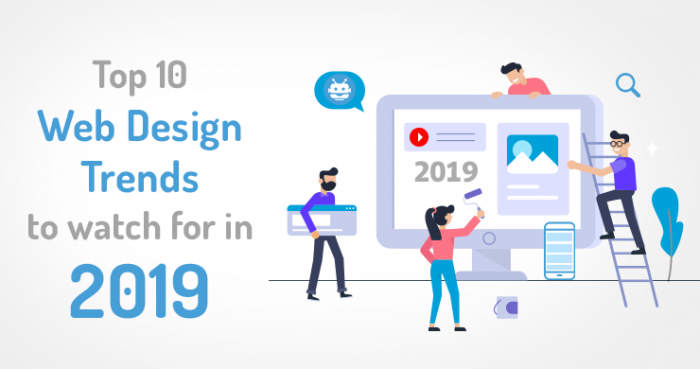 With search as a channel growing bigger and bigger, 2019 will see web designers giving more importance to the SEO aspects of web design and development. Looking for a Web Design/Development Agency that can help you to build a modern, feature-rich website? 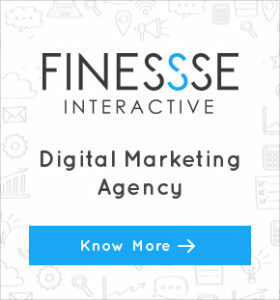 Get in touch with Finessse Interactive – 14+ years of experience building and maintaining websites of some of the biggest brands in the country. Read about our Web Design Service Here or call us on +91- 9810619956 or email us at info@finessse.digital . We also provide top-notch white-label services to web design agencies across the world. Our white label services include PSD to HTML, HTML5/CSS3 and Web Development.